Could this Hampton apartment shooting have been prevented and are justice and compensation available to the victim? 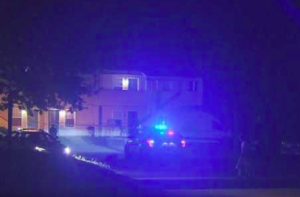 Gunfire erupted at the “LaSalle Landing Apartments” early Monday morning, August 6, 2018, leaving a 40-year-old man injured, per WAVY 10 reports. According to the Daily Press, the victim was discovered with a gunshot wound shortly before 12:30a.m. Hampton police are apparently still searching for suspects and a motive. The apartment complex was the location of a fatal shooting investigation in November 2017, per WAVY 10 reports. What additional security measures, such as gated-entry, fencing, surveillance cameras, and security patrols, were implemented by the apartment complex owner, following media reports of prior violence on property?